Shop our collection of outdoor furniture including tables, benches and accessories. 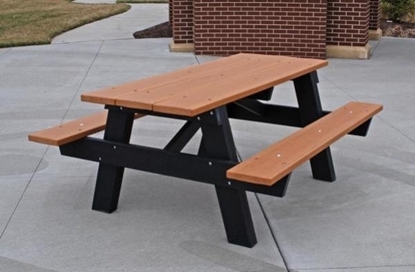 The Jayhawk Adirondack product line combines the long lasting, maintenance free and eco-friendly qualities of their proprietary 100% recycled plastic with the traditional look of other Adirondack products. There isn't a better quality Adirondack on the market! Relax and rest your feet...this ottoman works with either the Cape Cod or Seaside chairs. 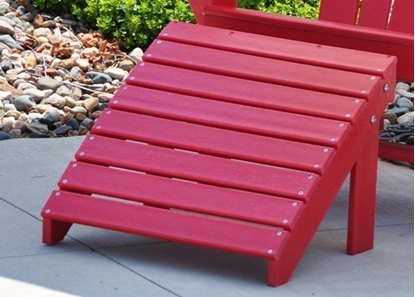 The Jayhawk Adirondack features long lasting, maintenance free and eco friendly 100% recycled plastic. 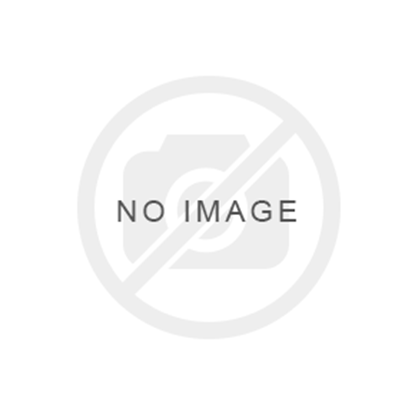 A great quality outdoor Adirondack that never needs painted or stained again. 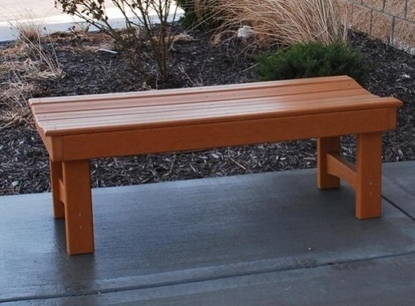 The Jayhawk Adirondack product line combines the long lasting, maintenance free and eco-friendly qualities of their proprietary 100% recycled plastic with the traditional look of other Adirondack products. There isn't a better quality Adirondack on the market! 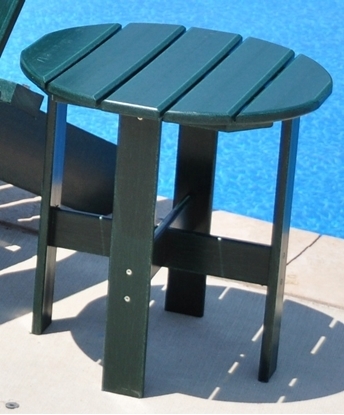 The perfect way to join two adirondack chairs...works with the Seaside or Cape Cod Adirondack chair! 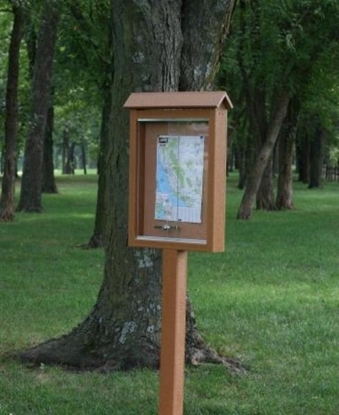 Jayhawk's Frog Furnishings Message Centers are the industry standard. Made with various sized Resinwood slats, shatter resistant clear plastic sheet, top quality marine-grade cork, and specially coated locking mechanisms. Jayhawk's Frog Furnishings are good for the environment! 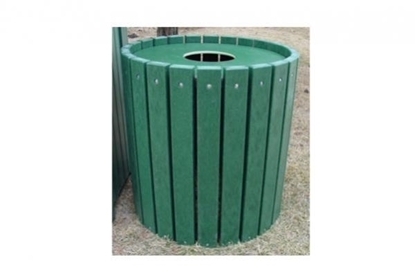 Recycled plastic material does not need to be sealed, painted or stained and cannot rot. The Garden Bench Series is designed for comfort after a full day in the yard! 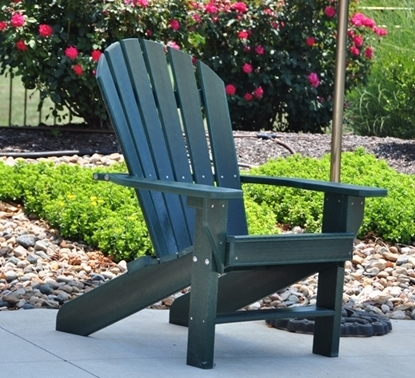 The Jayhawk Adirondack product line is a long lasting, maintenance free, outdoor lounge series. 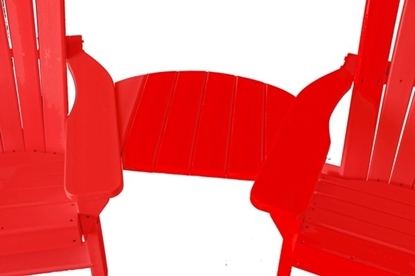 The Seaside Chair has eco friendly qualities and is constructed of proprietary 100% recycled plastic with the traditional look of other Adirondack products. There isn't a better quality Adirondack on the market. Jayhawk's Frog Furnishings are good for the environment! Molded plastic rings make it "Standard" in name only. The only receptacle on the market with completely maintenance-free molded plastic rings. 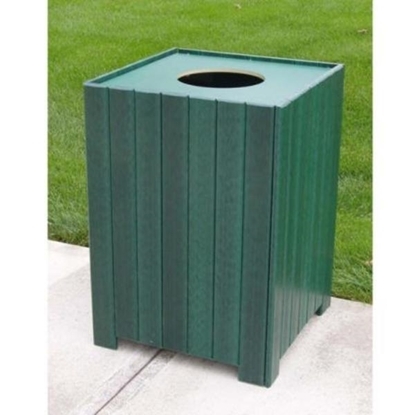 This 32 gallon outdoor trashcan by Jayhawk is eco friendly and very durable. Resinwood is recycled plastic lumber at its finest. Resinwood is made of 100% recycled plastic and therefore will never degrade over time like many wood-plastic composites will. Maintenance-free for years to come. Jayhawk's Frog Furnishings are good for the environment! Recycled plastic material does not need to be sealed, painted or stained and cannot rot. The Ariel Series has a contemporary design with unique seat pattern. 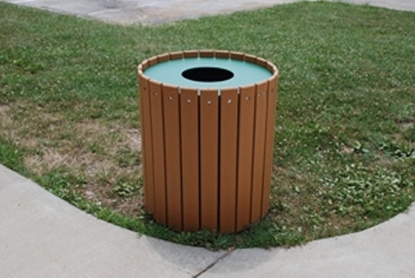 This 55 gallon outdoor trashcan by Jayhawk is eco friendly and durable. 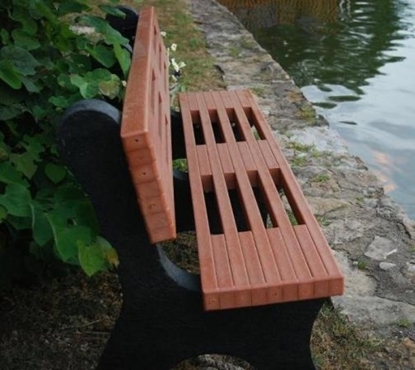 Resinwood is recycled plastic lumber at its finest. Resinwood is made of 100% recycled plastic and therefore will never degrade over time like many other wood-plastic composites. Jayhawk's Frog Furnishings are good for the environment! Heavy-duty for industrial applications. 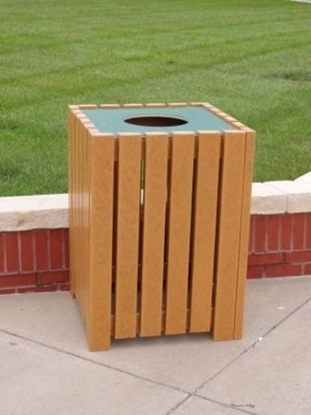 Resinwood is recycled plastic lumber at its finest. Resinwood is made of 100% plastic and therefore will never degrade over time like many wood-plastic composites will. Additionally, UV stabilizers protect the color and structure, assuring that the plastic lumber will be maintenance-free for years to come. Jayhawk's Frog Furnishings are good for the environment! The most durable receptacle on the market! Resinwood is recycled plastic lumber at its finest. Resinwood is made of 100% plastic and therefore will never degrade over time like many wood-plastic composites will. Additionally, UV stabilizers protect the color and structure, assuring that the plastic lumber will be maintenance-free for years to come. Earth friendly commuters want earth friendly amenities. 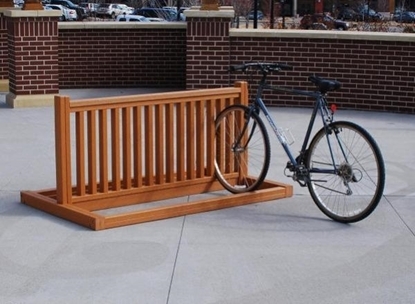 Made with 2" x 4" and 2" x 3" Resinwood slats, our bike rack is solid and sleek. Designed to hold 6-10 bikes, and it can hold bikes on both sides.